Unforgettable experiences from the Serengeti to the Seychelles await on the new Cultural Escape journey aboard the Four Seasons Jet. This November, travel to five of the world's culture capitals aboard the Four Seasons Jet in search of people, places and experiences that will forever enrich your life. For the traveller, destinations are far more than the sights they see or the mementos picked up along the way. The places they visit offer new perspectives and unforgettable experiences with the power to enrich their lives long after they return home. 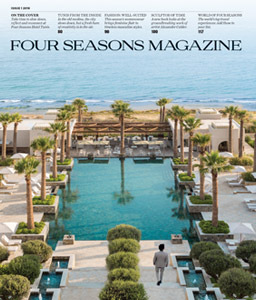 This November, embrace your inner traveller and embark on a Cultural Escape aboard the Four Seasons Private Jet. During this 19-day journey, you’ll travel to six destinations across three continents. In Moscow, Dubai, the Seychelles, the Serengeti, Florence and London, follow a customised itinerary and experience the art, history, landscapes, food, traditions and people of each unique destination. The difference between a tourist and a traveller lies in the way they perceive their destination. For the tourist, their destination is a place, an endpoint on an itinerary that offers access to a checklist of attractions and souvenirs. At the end of this incredible journey, you’ll carry home with you new passions, tastes, lessons and perspectives forged from intimate interactions with local cultures—which only Four Seasons can deliver. Here, we highlight some of our favourite souvenirs. 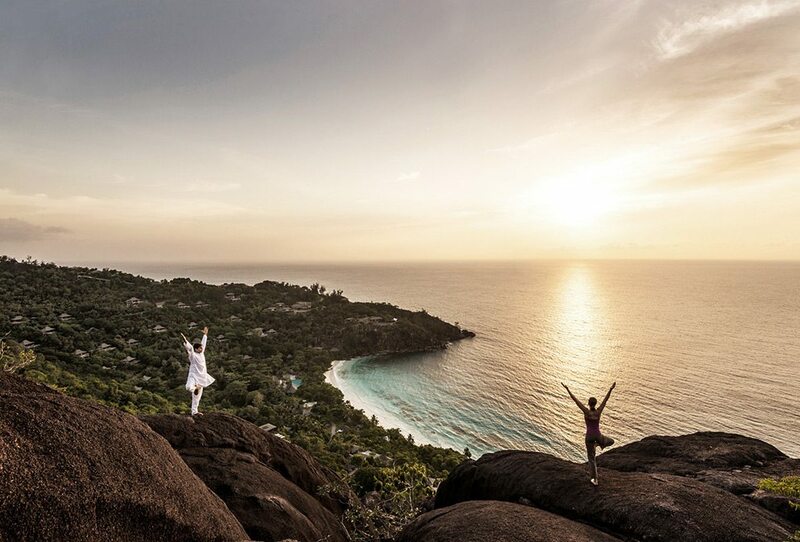 Take home a new feeling of tranquility and sense of spirituality after a yoga practise in Seychelles. In the Seychelles, all paths lead to beauty. The African nation comprises 115 islands in the Indian Ocean, and it’s a favourite destination for romance, outdoor adventures, wildlife sightings and relaxation. 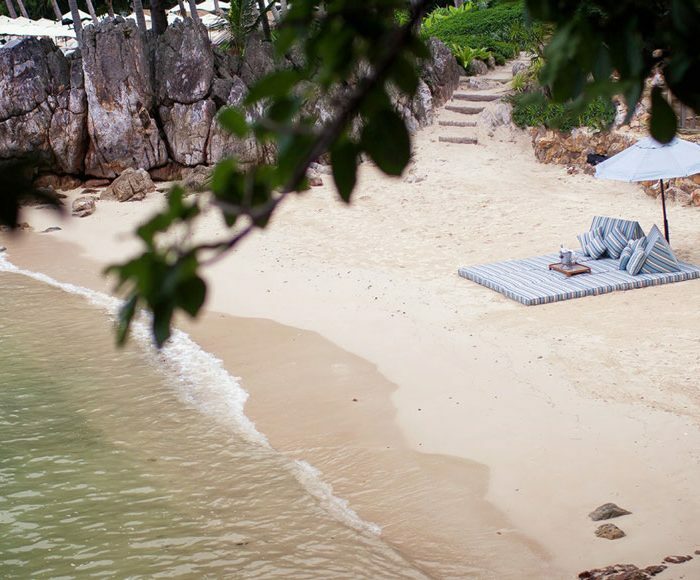 From your base at Four Seasons Resort Seychelles, located on the archipelago’s main island of Mahé, you can dive, snorkel, hike through nature preserves and shop local markets. Yet it’s difficult to find a better way to soak in the spirit of this beautiful setting than through a yoga session. At sunset, accompany an expert yogi on a short hike through the forest to a mountaintop overlooking the ocean. Your yogi will guide you through peaceful meditation and yoga, teaching you breathing and relaxation techniques to the sights and sounds of nature. You can also practise a hatha flow out on the open water during a one-on-one paddleboard yoga session. It’s a great way to lose yourself in the tranquility of the sea. What you’ll take home: Once you’re back in the real world, summon your new meditation techniques, pranayama breathing exercises and Technicolor memories as a reminder to slow down, find peace and live mindfully. “At its core, yoga means union of mind, body and soul,” says Arun Dev, one of the Resort’s yogis. “Union of ego and the spirit, union of the mundane and the divine.” Embrace that unity to find solace in the hustle and bustle of everyday life. Appreciation for nature is deeply rooted in the Maasai people. Learn why it is so important to have a profound respect for the wildlife during your stay in the Serengeti. Most who travel to Africa’s fertile plains seek views of the Big Five: lions, leopards, Cape buffalo, elephants and rhinos. If, after your game drive or hot-air balloon safari, you still crave a deeper understanding of the Serengeti and its wildlife, look no further than the Maasai. The semi-nomadic Maasai tribe inhabits the Great Rift Valley region of southern Kenya and northern Tanzania. Members are known for their athleticism, craftsmanship and superior knowledge of and respect for the landscape and its animals. During your stay at Four Seasons Safari Lodge Serengeti, accompany a Maasai warrior on a walking safari to learn how to identify animal tracks, plants and insects, or venture out with your guide for a full-day visit to a Maasai village. In the evenings, the Resort’s Maasai guides congregate for traditional dance ceremonies. What you’ll take home: The Maasai are known for masterful beadwork, particularly ornate and colourful necklaces. You can buy one of the locally made varieties, but your true souvenir is a newfound appreciation of nature inspired by the Maasai people. Before formal religion was introduced to East Africa, nature played a large role in the Maasai faith. Plants and animals hold a cultural significance for the Maasai, and many plants are still used in traditional medicines. 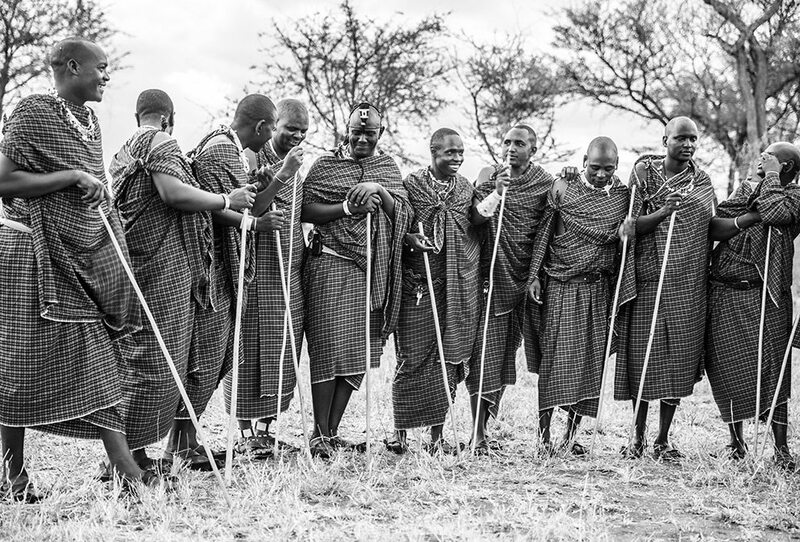 Learn about the importance of living alongside and preserving nature, as well as the Maasai’s high respect for local wildlife. 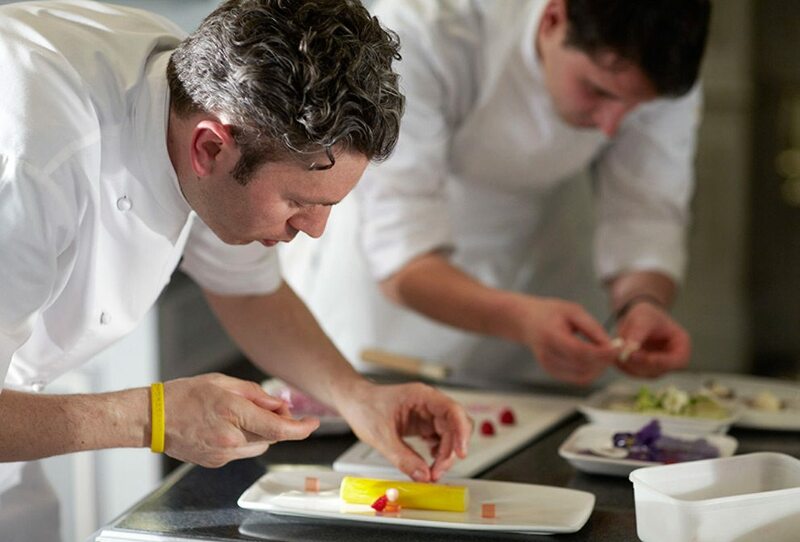 At Four Seasons Hotel Firenze, and throughout Italy, food is meant to be savoured and prepared only with the finest ingredients. In Italy, food is more than just fuel for the body. Italians take pride in preparing cuisine, using the finest and freshest ingredients to produce dishes that rival works of art. In homes and restaurants from Florence to Palermo, mealtimes are never rushed. Instead, they are savoured moments for tasting and enjoying every flavour together. During your three-day stay in the city, you’ll gain exclusive access to exhibitions and artisan studios, and travel to the vineyards of the Chianti wine region. But gourmands shouldn’t miss the full-day culinary excursion at Villa Monteoriolo, a 15th-century estate that has been producing olive oil for more than 200 years. 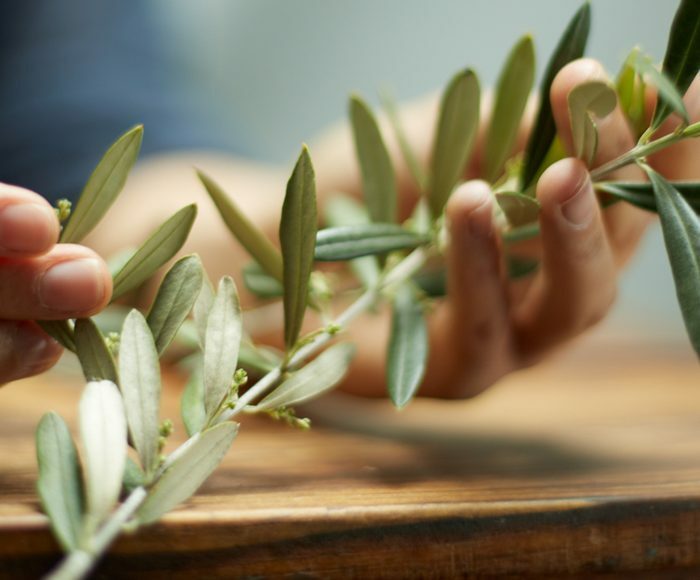 Using the estate’s homemade olive oil and locally sourced ingredients, an expert chef will teach you Tuscan cooking techniques and guide you through the preparation of a multi-course dinner, which you’ll enjoy in the villa’s intimate dining room. What you’ll take home: Tuscany’s climate and soil produces a low-acidity olive oil that is one of the freshest and most flavourful in the world. Pick up a bottle at Villa Monteoriolo so you can practise your new Italian cooking skills for loved ones at home, using only the most authentic ingredients. Russia’s historic capital is home to one of the world’s finest arts scenes, with an internationally renowned national ballet company, excellent museums, impressive architecture and a hearty collection of literary marvels. Start your aesthetic journey at the Moscow Kremlin Museums, a multi-structure architectural feat and the icon of imperial Russia. The former walled city houses the Kremlin Armoury, Russia’s oldest museum, where you’ll embark on a private tour of Czarist artefacts, including Catherine the Great’s coronation dress and Ivan the Terrible’s carved ivory throne. You’ll also encounter the largest collection of Fabergé Eggs in the country. A highlight of your visit, this grand showcase features the jeweled eggs exchanged between royals each Easter for centuries. Look for the Trans-Siberian Railway Egg, an onyx, silver, gold and quartz creation presented by Nicolas II to his wife in 1900. Your next stop is the Novodevichy Convent; Moscow’s most famous convent is notable for the Smolensky Cathedral. The oldest section of the convent, this 16th-century, gold-capped cathedral is the burial site of famed Russian playwrights Nikolai Gogol and Anton Chekhov. 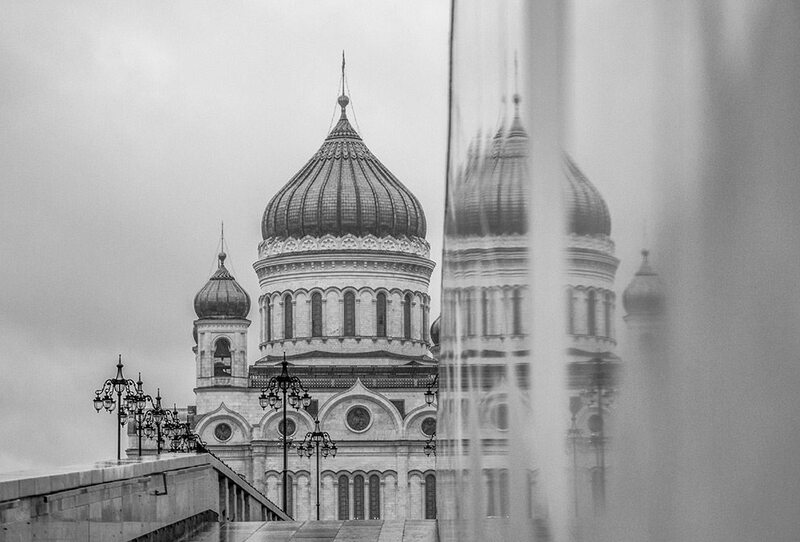 Afterwards, architecture enthusiasts can view city landmarks during a cruise down the Moskva River, and literary-minded travellers can delve deep into the life of one of Russia’s great writers at the Leo Tolstoy State Museum. This bucolic spot in the heart of the city served as Leo Tolstoy’s winter home from 1882 until 1901. What you’ll take home: Russia’s great writers have produced many renowned works—Doctor Zhivago, War and Peace, Anna Karenina, Eugene Onegin—that will influence your reading list long after you’ve returned to your own library. If you’re more inspired by the Armoury’s imperial treasures, visit Moscow’s famed luxury shopping arcade, the GUM, where you can select a contemporary version of the Fabergé egg for your personal collection. In Dubai, coffee is more than a caffeine fix—it is an art and a symbol of joy, carefully tasted and enjoyed. Photography courtesy Bateel International L.L.C. Though this seaside metropolis is decidedly modern, with its steel-and-glass skyscrapers and over-the-top attractions, Dubai’s multicultural population imbues it with charm and character. Throughout the city, you’ll find cafés serving Arabic coffee, a blend of coffee beans and spices such as cardamom, cloves, ginger, rosewater and saffron. The coffee is often served with dates rather than sugary confections, and it’s poured from a dallah, an ornate pot made of brass, steel, silver or gold. The drink is traditionally prepared to welcome guests, and it plays a distinct role in your most exhilarating adventure while in Dubai: a journey by 4×4 into the desert for a royal dinner under the stars. You’ll be welcomed by a traditional Arabic coffee service before you go sandboarding, watch a falconry demonstration and feast on an elegantly prepared dinner. 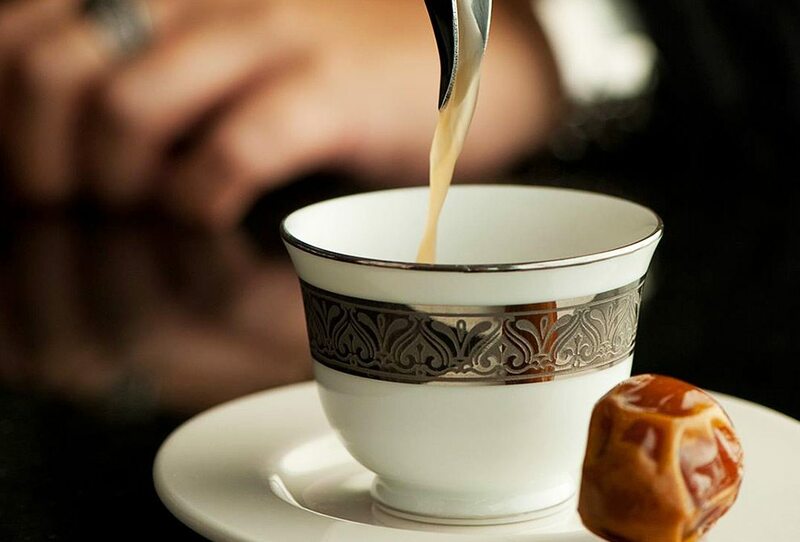 What you’ll take home: Arabic coffee, dallahs and finjaans—the small round coffee cups that accompany the traditional service—can be found at Dubai’s souks and luxury shopping centres. Even if you don’t purchase a set for yourself, take home the spirit of community inspired by the Arabic coffee ritual. Bring the symbol of hospitality to life for guests in your home for years to come, sharing your understanding of coffee-drinking etiquette with every sip. 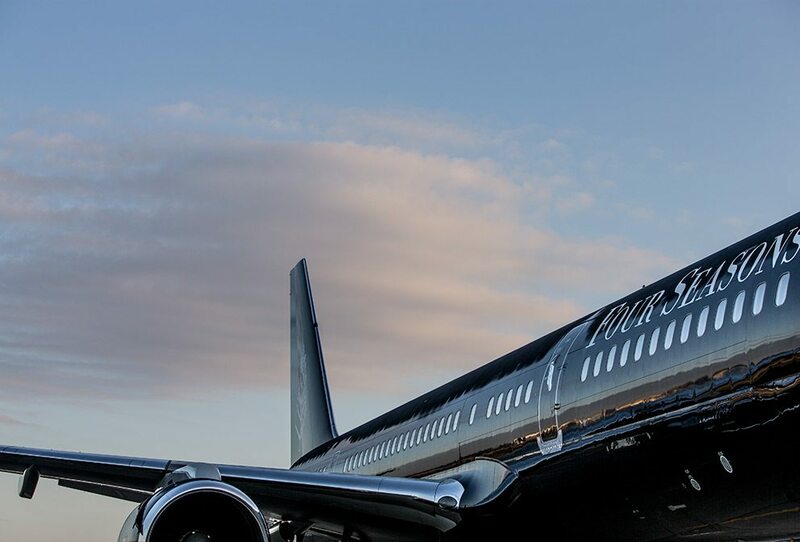 Throughout the journey, travel aboard the Four Seasons Jet, a retrofitted Boeing 757 that is spaciously configured with only 52 seats – leaving ample room for you and the souvenirs you pick up along the way. Your cultural escape through Europe, Africa and the Middle East begins and ends at Four Seasons Hotel London at Park Lane. From London, you’ll travel aboard the custom-designed Four Seasons Jet and enjoy Four Seasons accommodations and renowned service at every step of the journey. The trip begins on November 4, 2016. Dreaming of a Beach Vacation? Find your next perfect getaway: from the teal waters of Bora Bora to the culture-rich coast of Vietnam. 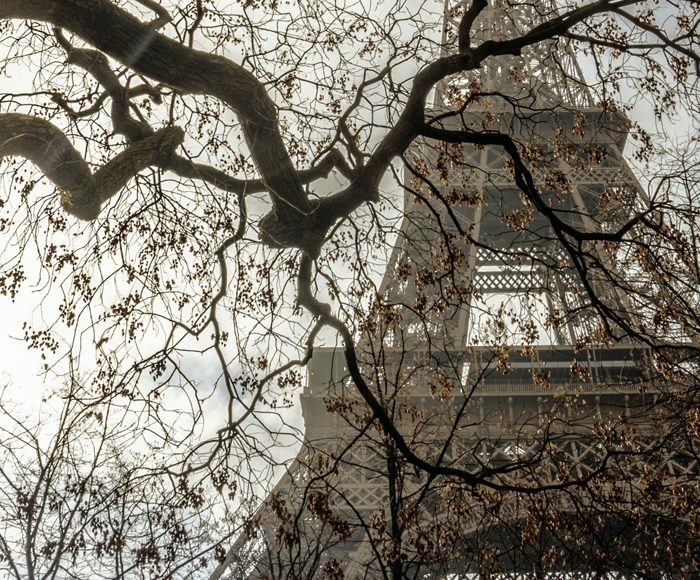 From a couple kissing in Paris to the shining reflection of Big Ben, these photos, taken by Instagram sensation Qorz, capture the essence of 10 European cities. One-of-a-kind journeys are meant to be shared. We’ve rounded up some sweet tropical experiences for couples, from Bogotá to the Seychelles and from the spa to the sky.